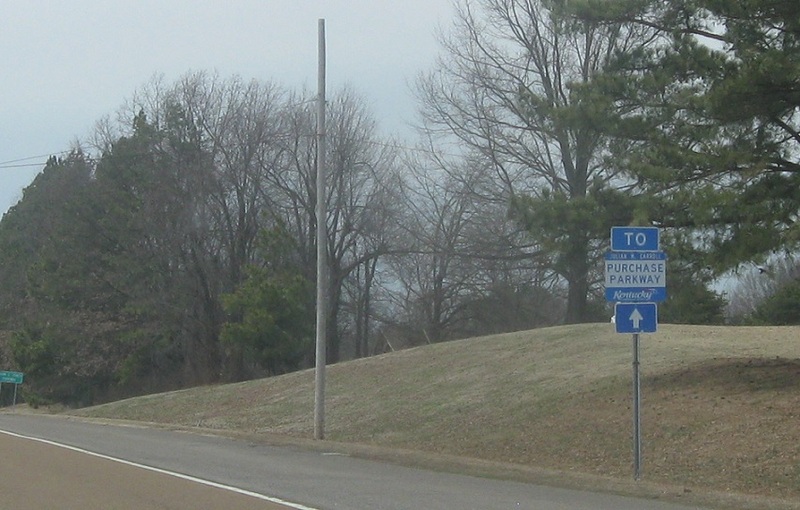 After the 43 split, stay on this carriageway to access Kentucky’s Purchase Parkway. But first, 45E ends. 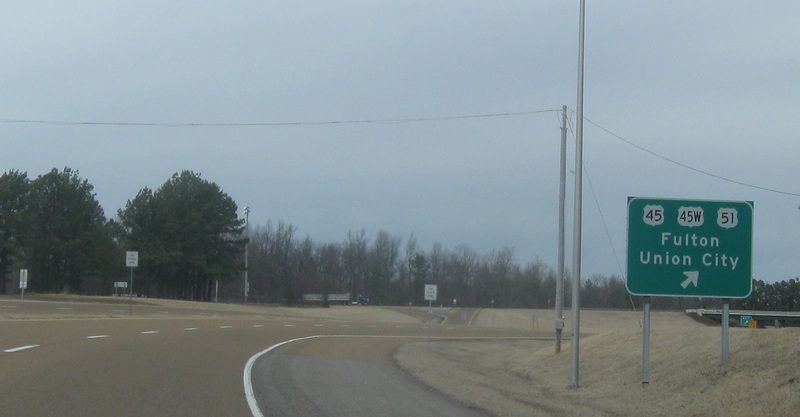 Exit here for US-45 north, US-45W south, US-51 south, and unsigned SR 214 north. Stay straight for US-51 north and SR 215 north, which heads another couple hundred feet into Kentucky, where the Purchase Parkway begins.